- There was 3 points that I gave from this message about how God prepares us in life for Spiritual greatness. 3. God uses our life to bless others. 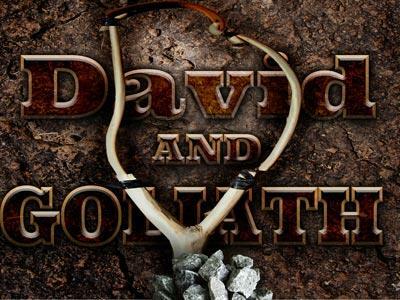 - We see this in David’s life as he was working tending sheep for his family. - David killed lions and bears and all the time God was using those situations to build character, bravery and skill for Spiritual greatness and deliverance for Israel. - My point from last week is God does the same thing in us today. All that we go through, the job we have, God has placed us there to grow and mature in Him so that we will lack nothing. - We are going to continue in our sermon series, “Developing A Hear After God” and speak on Be Willing To Enter The Valley. 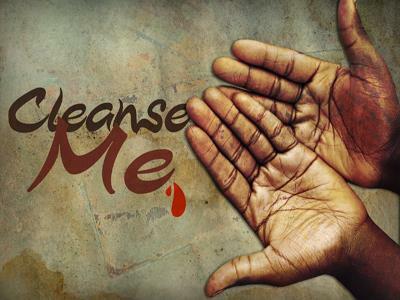 - At times in our Christian walk we are going to experience problems that come our way that need to be dealt with. - David when he came to the battle field saw a man defy the living God and it prompted him to action. - This message will encourage you to action. 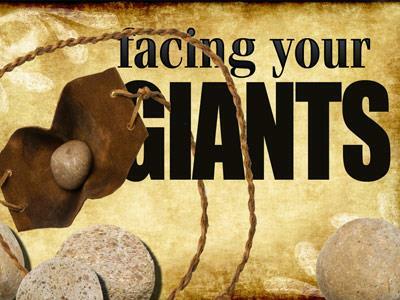 - Today Christians are afraid of difficult situations, but we need to learn from David and run to those difficult situations or those Goliath problems and believe that God will deliver us. - So in order to develop a heart after God, let us learn to trust in God as David did and run to the difficult situation rather then run from the difficult situation. - The armies of Israel didn’t fully trust in God because they were not willing to enter the valley and defeat there problem which was Goliath. - David was willing and it brought more then just victory it advanced the armies of Israel. - If the church wants to advance the Kingdom of God, then we must be willing to enter the valley and fight the enemy which is the devil today and not stand on the hill like Israel was doing. Let’s suppose that I bought a horse from a man, and for that horse I had to pay, in cold hard cash, a grand total of six dollars. When I get home with the horse, everyone’s excited. My kids think I’m a hero. And my spouse, who’s a penny-pincher, thinks I’m a great bargainer. The horse is a definite hit with the family. But after a while, problems arise. Calico the horse is too big for the house, even though I’ve told the kids, “No galloping in the living room.” It’s getting expensive to feed this animal, too. Finally my spouse declares, “That horse has got to go.” I take the horse back to the man who originally sold it to me, and he’s gracious enough to buy the horse back for eight dollars. But I miss that old horse. A lot of times at night, after the kids have gone to bed, I can be found staring up at the moon and playing my harmonica, singing cowboy songs. My spouse, bless her heart, can’t stand to see me mope over old Calico, so she finally gives in and says, “Oh all right, go back and buy that horse again.” This time I buy the horse from the same man for ten dollars. You can guess what happened. No sooner did we get the horse back to the house that we began to face all the old problems again. The kids were still horsing around and the horse was doing a major number on the carpet. I could see the handwriting on the stall. I was going to have to get rid of old Calico. So, I took the horse back to the same guy and sold him my horse for twelve dollars. I no longer have the horse, but I do have a question. After all my wheeling and dealing on that horse, did I make money or lose money? Not counting feed, or gas back and forth to the farm—did I come out ahead? Did I go in the hole? Or did I break even? And if I did gain or lose—how much did I gain or lose? - The answer is 4 dollars. - Now that problem came from a second grade math book, and it was down right confusing. - Well life can be that confusing; things that seem simple aren’t so simple.